EVASON HUA HIN is returning to its original configuration of 185 guestrooms and villas and will separate from the adjoining 55 pool villas, which were originally developed as a Hideaway resort and consolidated with Evason in 2012. “The Evason brand has a very relaxed family orientation, with a nod towards affordability”, said Managing Director Alan Thomas. “The 55 pool villa entity being divested from Evason, is really focused on a quite separate market. “This move will give us the opportunity to enhance the facilities at Evason Hua Hin to better address our prime target markets”. 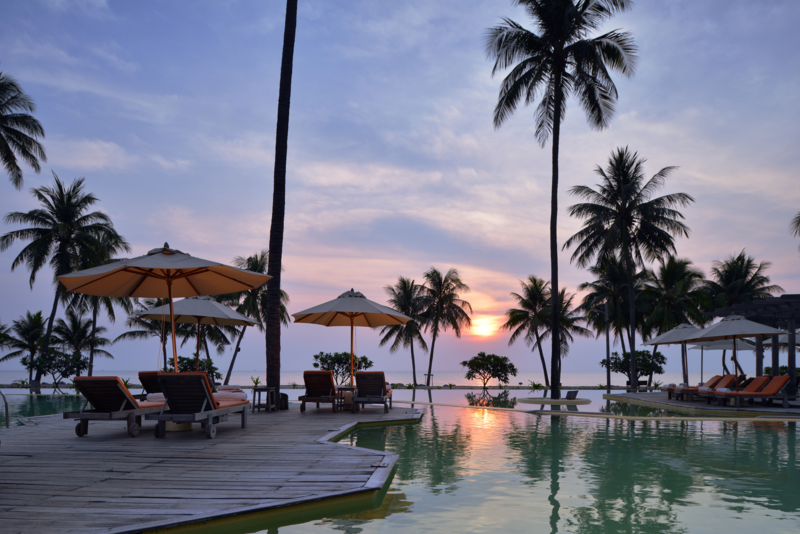 Evason Hua Hin will be a stand-alone brand from Aug. 1, 2013, when the next-door pool villa entity will close for rebranding and a program of refurbishing by its new operator. It will be business as usual at the popular Evason Hua Hin, which includes 40 private villas with plunge pools, plus 145 spacious guestrooms. Its unique Earth Spa will become part of the Evason, as are the three diverse restaurants, the poolside duplex bar, tennis courts and recreation facilities, fitness room, Children’s Club and conference facilities for up to 200 people. Grande Asset acquired both properties from Owendelle Company, which currently operates the combined property under a licence agreement from Six Senses, owner of the Evason brand. Evason Hua Hin will continue to operate under the licence agreement. Reservations being held for the 185-key Evason Hua Hin will not be affected. All effort will be made to relocate reservations being held for the 55-key rebranded entity.